Elly McCausland is a cook and food writer whose recipes are inspired by fruit, seasonal produce, her garden and her travels in Asia. She is currently based in Aarhus, Denmark, where she also works as a postdoctoral researcher on children's literature. 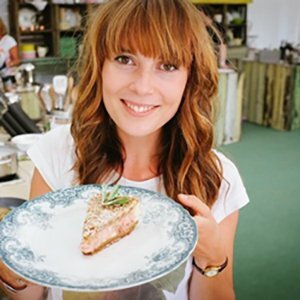 In 2016 her blog, Nutmegs Seven, was awarded Food Blog of the Year at the Guild of Food Writers Awards.